Carbon free storage space, ftp, MySQL, domain and e-mail services with exclusive and prestige increasing appearance for socially responsible companies. 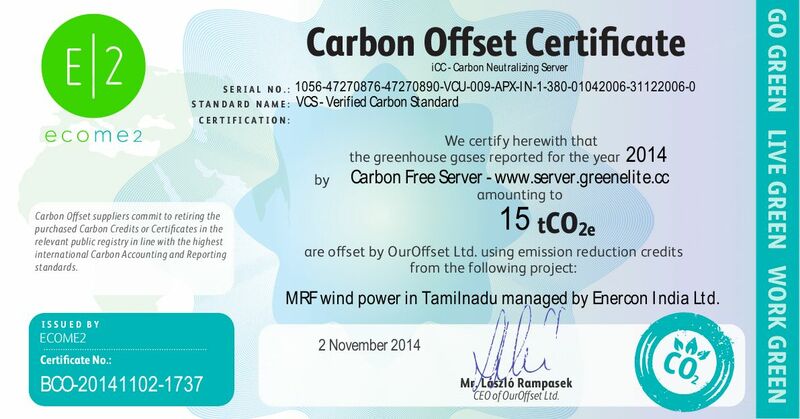 As a responsible service provider for sustainability, we realized the necessity of CO2 efficient hosting solutions which reduce the negative impact on the environment. Connected to the realization of ethical principles and regulations, e. g. goals related to climate change, companies receive the most efficient way of energy utilization. In order to reach this target, our IT team offers green evidence. The guaranteed availability of the server is 99.8 percent and its proved direct consumption is 1314 kWh per year. The direct and indirect use based on the current traffic data has been taken into consideration and its 15 tons CO2 emission was offset.